As a teenager, Eric Dirst started out making money in the usual ways of people his age: he mowed lawns and worked as a fry cook, which, he says, “really teaches you what you don’t want to do.” Luckily, a 14-year-old Dirst was introduced to the world of computer science. And, thanks to a teacher who was passionate about the subject, Dirst was able to enroll in three programming courses in high school. By the age of 16, Dirst had gained the know-how that allowed him to join the small IT department of the county office, taking his very first step toward a successful career, which today has landed him in the CIO position at DeVry Inc. But even as an adolescent, Dirst found himself in a position of senior leadership with a small staff of three, managing the budget and the outsourcing of work to another county. It was this job that helped Dirst pay his own way through college at Northern Illinois University. 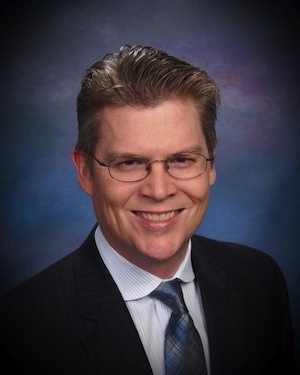 After graduating with a double major in operational management and computer science, Dirst enjoyed the next 10 years working in consulting, an area that had always attracted him, and he rose through the ranks to eventually manage a consulting practice. When the dot-com boom hit, Dirst, like many others in his field, pursued a start-up that ultimately didn’t make it. Dirst finally left the company when a call came from a friend at Allied Van Lines. Dirst became the vice president of the moving company’s IT department, and the position marked his smooth journey into the executive realm. Today, Dirst’s dedication to and passion for his work is illustrated by the large scale and award-winning projects he has overseen for DeVry, including the overhaul of the student-information and customer-relationship-management systems, which earned DeVry an award from Information Week magazine as a 250 Top Innovator. When Dirst joined DeVry in March of 2008, he quickly learned how important it was for the organization, which has 98 different locations in North America, to become more customer-service-oriented toward its students. To improve the company’s responsiveness to student inquiries, Dirst led the effort to implement a new student-inquiry-response system, which leveraged “a lot of cloud technologies from great vendors such as salesforce.com, DocuSign, Eloqua, and Appirio,” he says. Prior to the new system, DeVry’s average response time to a student inquiry ranged from as fast as three hours to as slow as four days. With the first release of the new system two years ago, the response time saw a 4,000 percent improvement, dropping the wait to an average 10 minutes. When asked to take a new opportunity by senior leadership, the answer is always yes, even if you’re not really interested. You never know what it can lead to. What’s your greatest passion outside the office? I’m a big runner. I’ve done five marathons, two half Iron Mans, numerous other triathlons, and lots of half marathons. I’d like to see myself as COO of an organization. If you had to do something other than be CIO of a company, what would it be? My joke is always that, when I retire, I’m going to be a database administrator, and work remotely from the Florida Keys. It’s not a team-based role, so you can focus on one thing and one thing only. What is the one thing you would change about your industry? I’d love it if all institutions were evaluated more on the outcomes of their students—whether they got jobs or not. We do measure that and talk about it, but not all institutions do. And I think that’s a disservice to students, and they should know that kind of data.